I’m not the most decisive of people (it can take me ages just to choose a colour when having a manicure!) 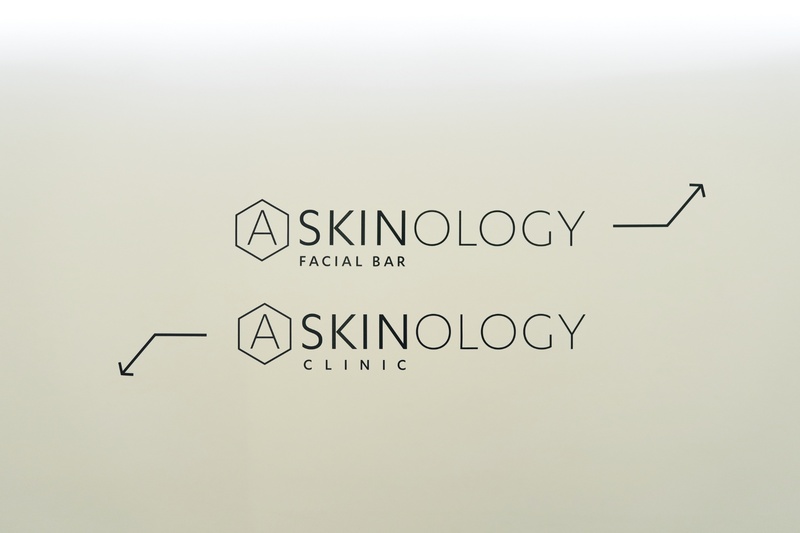 but when I visited the Askinology clinic facial bar and checked out the facial ‘menu’ I knew exactly which one I had to go for: Plump It Up; a hydrating, restorative facial that tackles dull, lacklustre skin with gentle exfoliation and a plumping, reviving and moisturising mask to reveal super-smooth, fresh looking skin – exactly what I needed to beat the winter chill. 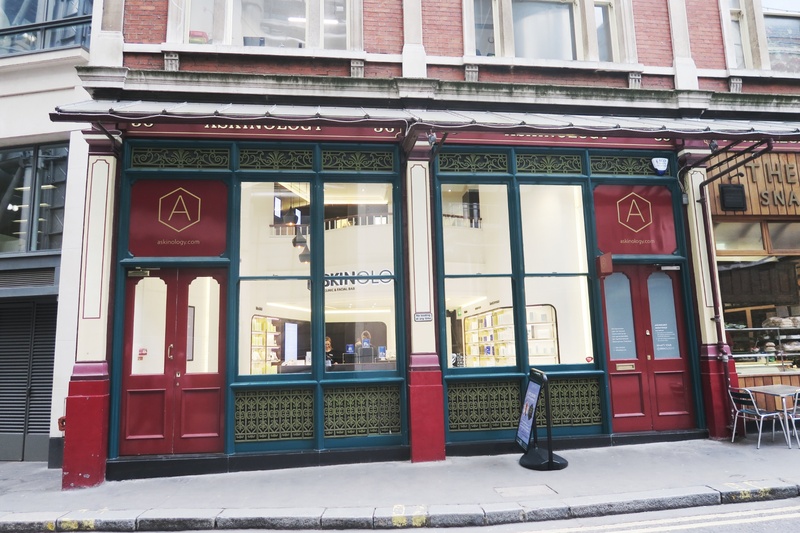 Askinology is the relatively new skincare and aesthetic clinic and boutique nestled away in the the beautiful cobbled streets of Leadenhall Market in the heart of the city. 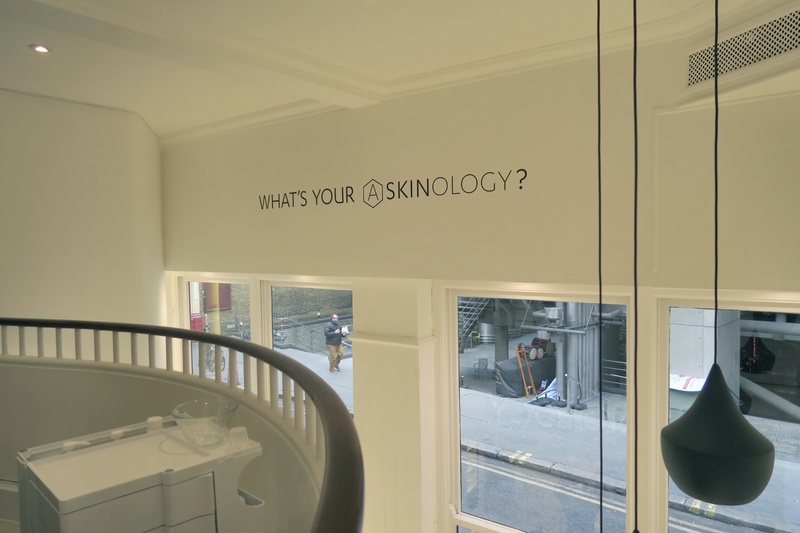 It may be less than a year old, but already it’s making waves in the world of skincare aficionados, having won two awards within months of opening. Offering a delectable menu of six Skinceuticals facials at the facial bar, including OMG Breakout for congested, blemish prone skin, Fade Away to brighten skin and help to fade pigmentation marks and my very own Plump It Up, you could be in and out in a lunch hour, having had a 30-minute skin-loving facial followed by Jane Iredale makeup to make sure you look ready for your next meeting. It may only be a 30 minute facial but boy, do they fit a lot into those minutes! 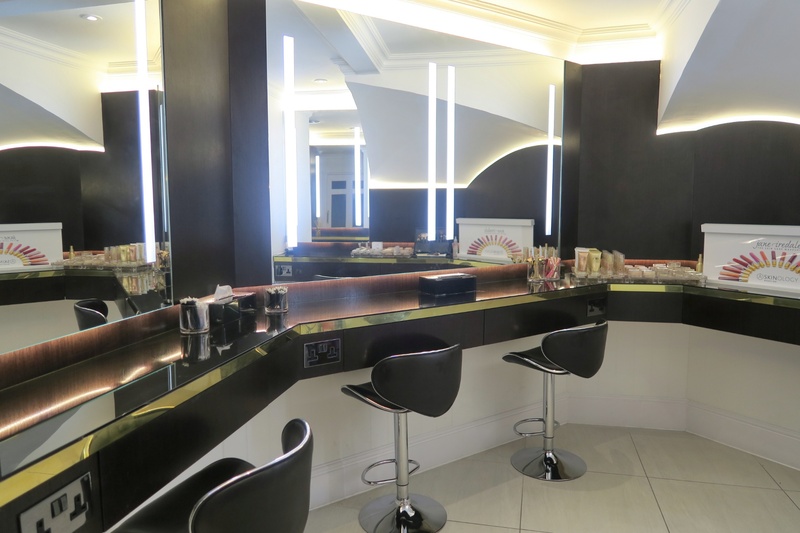 Whilst I enjoyed a collagen cocktail (Hydratini was my choice of tipple), my skin was thoroughly cleansed, exfoliated using an enzyme exfoliator, nourished using a Vitamin B mask (while I had a lovely hand massage) and then moisturised and protected before I was offered a work-appropriate makeup using Jane Iredale Mineral makeup. All in the comfort of a well-lit, airy room on the first floor. And you can tailor your facial to suit you, with 10 minute add-ons, such as a special treatment for the eyes, neck or even extractions. 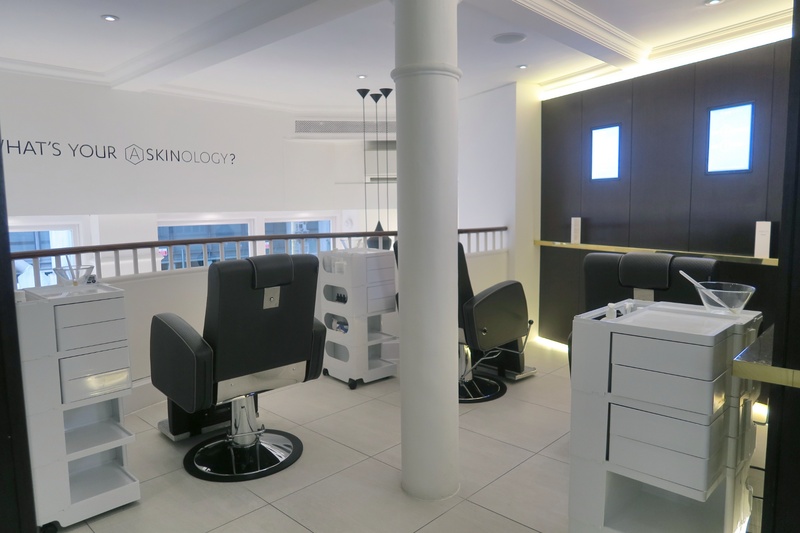 Down on the lower ground floor is the aesthetic clinic side of Askinology, offering just about every treatment your skin could need or desire, from microdermabrasian and fractional laser to mole or skin tag removal and acne scarring treatment. And if there are any products used in your facial that you fancy using at home, a pit stop at the perfectly curated skincare boutique on the ground floor is a must; from Skincueticals to Zo Skin Health, Neo Strata to Medik8, there is a product for every skincare concern and need. And if you’re not sure what your skin actually needs, a complimentary 30-minute consultation can set you on the right path. 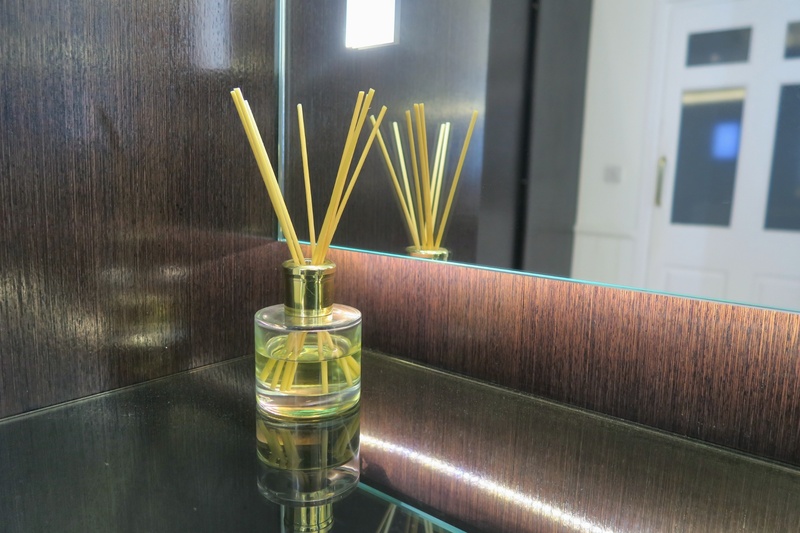 I loved the ethos, the clinic and the therapists and I would definitely go back for another treatment.